New partnership: Douglas and the Indie Beauty Media Group (IBMG) plan to work together in the future. The aim of the beauty chain and the specialized fair organizer is to support the innovations of independent brands and to promote entrepreneurship in the beauty sector throughout Europe. 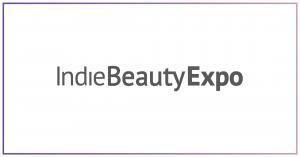 Douglas, on the other hand, is an official retail sponsor of the Indie Beauty Expo (IBE) Berlin , which will take place on 22 and 23 March at Station Berlin. With their sponsorship role, Douglas underscores their ambition to invest even more in independent cosmetics brands to offer them to Douglas customers. In addition, Douglas will sponsor the launch of the German-language version of Beauty Independent, a digital publication focused on the entrepreneurial scene. Beauty Independent will provide comprehensive coverage of independent and emerging cosmetics in Europe and will be easily accessible to all beauty entrepreneurs among the approximately 100 million German-speaking Europeans. In addition, Tina Müller, CEO of the Douglas Group, will be the keynote speaker at the “BeautyXRetail” summit in Dallas, Texas on May 13 and 14, to highlight Douglas’ involvement in the community and engage with thought leaders.